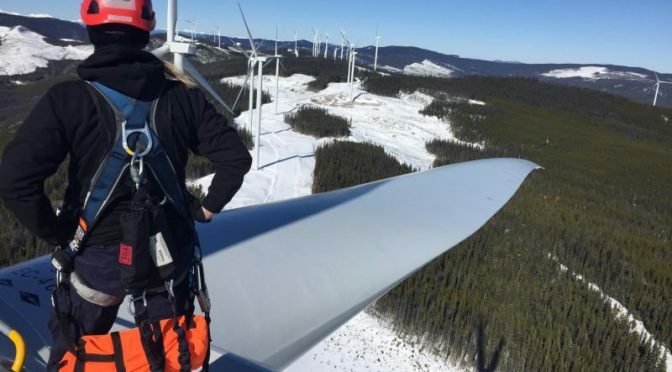 Applies thermal imaging technology and wide-band acoustic spectral analysis to detect anomalies on blades across entire wind energy fleets. Can be used on all blade platforms, regardless of manufacturer, with high accuracy and location precision. Modular system is a significant advance in gathering data analytics, reducing physical inspections, and need for technician climbs. 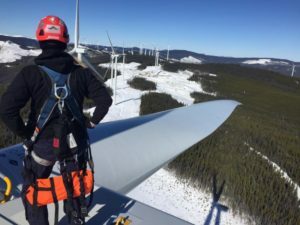 Today at Blade O&M Forum in Dallas, GE Renewable Energy (NYSE: GE) announced the availability of a new ground-based blade inspection system, combining thermal imaging technology and wide-band acoustic spectral analysis to detect anomalies on blades across an entire wind fleet, including both GE and non-GE turbines. The system will enable GE’s customers to manage blade assets more proactively and has the proven potential to reduce blade O&M costs by up to ~25%. GE Renewable Energy is a $10 billion business with an innovative spirit and entrepreneurial mindset, bringing together one of the broadest energy products and digital services portfolios in the renewable energy industry. Combining onshore and offshore wind, blades, hydro and innovative technologies such as hybrid systems and concentrated solar power, GE Renewable Energy has installed more than 400+ gigawatts capacity globally to make the world work better and cleaner. With more than 22,000 employees present in more than 80 countries, GE Renewable Energy is working on new ways to power the world’s biggest economies and most remote communities.